Recently Google updates the Google search app, which come with the new feature “OK Google” hotword detection on any screen. Previously it was available on the homescreen or in the Google Search app itself. Now you can use the same feature from any screen of your android mobile or tablet. Currently the feature is available for limited Google account and for the root android users. But most of the users still reporting that they aren’t seeing this set of options in their Google Now app. Now you can use the same feature on your device without installing any app of any tweak. Thanks to the Reddit user which comes with this easy and useful tip to enable the “OK Google” Hotword detection on any Android Screen. The guide is very simple and all you have to make some changes on your device and you can enjoy this new feature on your device. So lets take a look how to enable this new feature on the any android. Step 1. 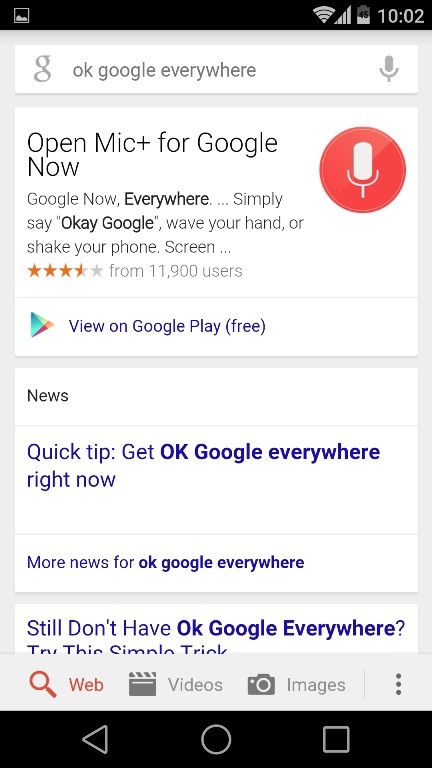 Open Google Now app on your android and search for “OK Google everywhere”. Step 2. Tap on any link from the search results from the page. Step 3. Go back to the Google now app and click on the menu button of the app. Step 4. 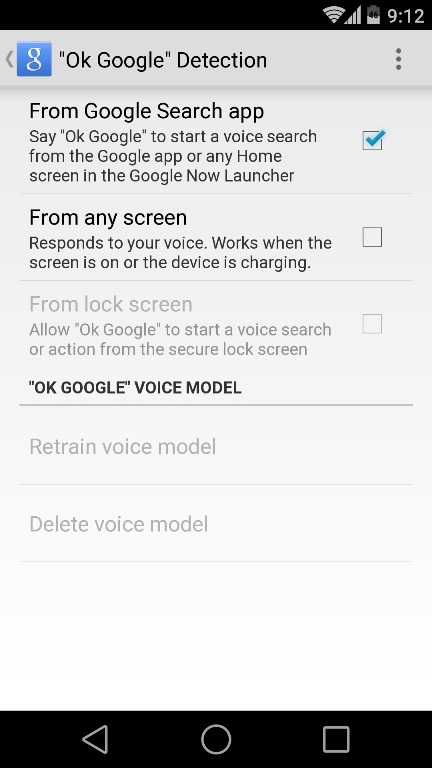 Choose Settings > Voice > “Ok Google” Detection and Check the box next to “From any screen” (and “From lock screen,” if you choose). Step 5. 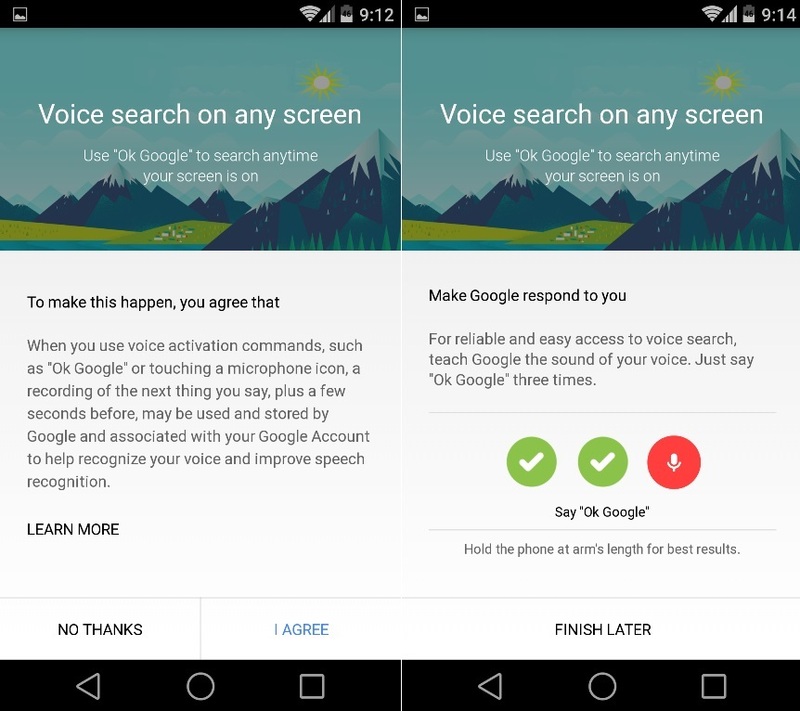 Now you have to agree to the terms provided by Google, and then teach the app what your voice sounds like by saying “OK, Google” three times. That’s it! Now the “OK Google” Hotword detection is enable on your android device and you use the ok google command from nay of the screen of your device.